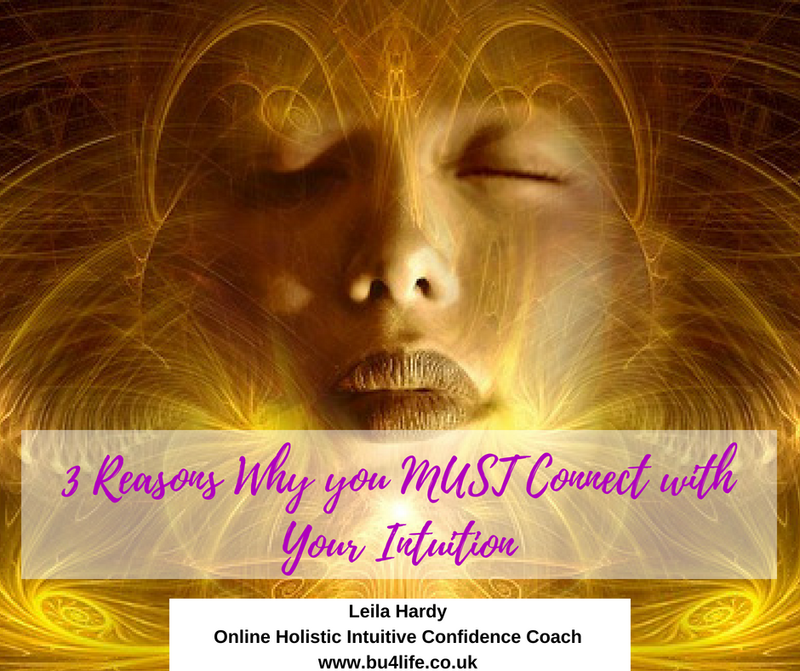 In these next few blogs, we are talking all things intuition; three reasons why you have to connect with your intuition, why it’s a must for you on your mind, body, spirit journey. If you are new to my work, or you're just exploring, I love working with the subconscious and energy, helping you to understand what might be in your way from the success that you want in your health and wealth, happiness and success, but also helping you explore what's possible for you. And there’s no right or wrong answer here, ladies. The dictionary definition of intuition is that ‘Intuition is a direct perception of truth and fact independent of any reasoning process or immediate apprehension.’ And it also says ‘a keen and quick insight’. The thing that is important to clear up, I suppose, today is that intuition is a constant thing. It's not one of those things that you take a moment, ask your intuition or tune into your intuition and then you go along with your day without even thinking about it again. Your intuition is constantly and consistently guiding you in some way. And for you to have that constant cycle of understanding into flow, into actions, into awareness, every time you are working with your intuition, your understanding, you're allowing the meaning or the message that's coming through, the feeling that's coming from your intuition to flow into actions, and you're staying aware to look out for intuitive hits, signs, synchronicities, coincidences, all of those things that help you to improve your understanding a bit more. One of the misconceptions is that sometimes we think we only tune in to our intuition when we need something, or when we'd like an answer, or when we're asking for a specific guidance or something, when actually intuition is with you all the time - if you're prepared to be aware of it and to connect with it. It's only recently that I've been in that cycle of being able to understand and trust, flow, take action on my intuition, and then also hold that awareness for when intuition comes through, when it's guiding me, when I’m being nudged with scenarios, suggestions, ideas, all those things. My journey with intuition may have been slower than many! So you're always being intuitively guided, whilst using the subconscious mind as well. I’ll explain a little bit more about how the subconscious mind comes into that when we move forwards. Having an intuition doesn't always mean psychic abilities. It doesn't necessarily mean clairvoyance, it doesn't always mean seeing things, healing things, smelling things, sensing things, but right at the base level of intuition is a feeling. Intuition a knowing, which is just a gut instinct, almost. There's that sense in your body that when you can trust that knowing and that feeling of what you are feeling, what you are knowing outside of logic, outside of facts, outside of evidence, that's when you can really build a powerful connection to your intuition. That's what you need to have when it comes to going about your life, from a mind, body, spirit perspective, or outside of that. Lots of people just don't specifically call it intuition. It might be a gut feeling; a gut instinct. As I said, intuition and using your intuition is a constant cycle of understanding, a flow of actions, of awareness. And it's not just simply sitting and asking a question and then hoping and waiting for the answer to arrive. It's about if you have a specific question in mind that you're asking of your intuition, about doing that and then going about your world looking, being open to receiving those signs, so you can then receive the next signal to be able to move forward, take action, understand more, move into flow, and so on and so forth. Why did I talk about the subconscious with this? The thing is, when you are consciously connecting with your intuition and you have a really strong relationship with your intuition that you trust it, you are listening, your eyes are open, metaphorically, to receiving any insights from your intuition. What happens is your Reticular Activating System (RAS), which is part of your deep unconscious brain not just the subconscious, will activate. When that happens, the world that you see before you starts to become filtered via that particular activating system in your brain. Fore example, when you are asking for a guidance on a particular question, or you have a gut feeling about somebody, and you might even want to further that by saying, ‘what is this feeling I'm getting showing me I need to notice or that I need to understand better?’ then as you go about your day, your RAS will start to connect with your intuition to help you to see the opportunities to be able to have that question, that dilemma answered, to support you to move through it, or to be able to really feel the support that comes through from your intuition when you are following it, trusting it, understanding it, and taking action on it. In really simple terms, the RAS is the part of your brain that, you know when you think about buying a car and it’s a particular colour, particular make of car, you don't see many of them around, and then the moment you say that or you think about it, you then see loads of those cars around? That's the reticular activating system. It starts to change your filters, your perception of the world based on what you're saying you are looking at or thinking about. So, when you can connect consciously with your intuition, the subconscious also then starts to activate as well. So it's a really powerful thing to be able to have in your life. Now I’ve broken down the subconscious element son connecting with your intuition, int he next blog, I’ll be exploring the first reason why you MUST connect with your intuition!